Boundaries Commission has put systems in place to conduct the Kibiri ward by-election in Karachuonyo constituency. Last week, IEBC officials carried sensitisation campaigns in the ward ahead of the by-election scheduled for August 7 2014. IEBC regional co-ordinator Joseph Juma said his office has met the stakeholders and urged voters to turn out in large numbers to exercise their democratic rights. Kennedy Ondiek will fly the ODM flag. He is the brother to late Kibiri ward representative Boaz Ondiek who was murdered. He will face it off with aspirants from other parties. 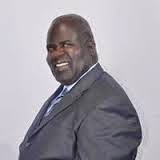 Homa Bay governor Cyprian Awiti and his allies have been campaigning against the ODM candidate who is said to be close to Karachuonyo MP James Rege. 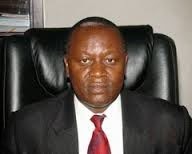 Rege is under pressure to run for governorship 2017. Awiti’s detractors are also capitalising on his failing eyesight to dismiss his second term. Awiti is at war with local fishermen after an export deal for Omena collapsed. Bitter fishermen plan to demonstrate after being fooled. The governor who recently declared he will go for a second term to complete his development projects is associated with those fighting former Prime Minister Raila Odinga in Luo politics. Voters say Awiti has failed to initiate any tangible development projects one year in office and is surrounded by brokers out to mint millions in tender awards. As things stand now, if Rege decides to run for governorship, Awiti will be an endangered species politically since those who helped him win the seat are openly opposed to his style of leadership. Another face likely to send the governor packing is Sammy Wakiaga, the man locals keep on praying to God to have him change his heart and venture into politics as a governor. Wakiaga enjoys the support of majority more so, of Seventh Day Adventists deeply rooted in the region. He is feared and reverend due to his development network in the county and being a down to earth person. When he at one time sent people to oppose Otieno Kajwang for Mbita seat, Raila had to intervene to save Kajwang from straight defeat in the hands of Wakiaga. In private, Awiti is said to have respect for Wakiaga and openly states that if he ventures into the race, he will be forced to swallow his pride and retreat to his Mawengo home. Word has it that Raila for a long time has not been comfortable with Awiti who during the Moi era was a Kanu activist and branch official. That Raila is not close to Awiti was well manifested when he skipped the burial of his brother although the governor had hinted that the former prime minister would be mourner-in-chief. Raila ended up at his mother-in-law’s funeral. During the nominations for the ward seat, Ondiek got 2,165 votes, Michael Onyango, the favourite in Awiti’s camp was second with 1,418 votes while Gilbert Adero came third with 597 votes. Grace Dinda came fourth with 239 votes.